This example webpage is to demonstrate a window popup containing a virtual tour of a property. The blue button area at right contain code and hyperlink that connect to a server from where the panorama is launched, The popup window is not run from this site. It can match any page design. Are you bored with what you have been seeing? Want something different? This extremely versatile and unique home has so much to offer and will appeal to you instantly. Offering 2,3 or 4 bedrooms depending on how you set up your furniture, downstairs rumpus, formal dining room, 2 bathrooms including spa, polished boards, and a large foyer. The air-conditioned studio is great for those working from home, students or teenagers wanting their own space etc and is situated close to the house for easy access. The undercover BBQ area is perfect for entertaining and the landscaped gardens are a delight! Spectacular views from Lilydale to Christmas Hills will take your breath away. 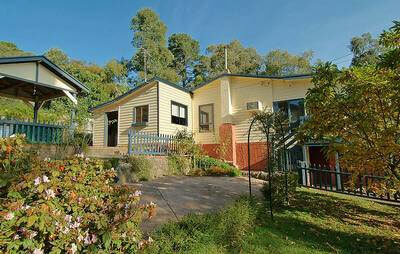 Close to schools, the lake, shops and transport, call now to inspect this charming property.